Two Guyanese men, 54-year-old Desmond Wilson and 61-year-old Yugool Persaud have been found Guilty in Florida of two counts of violating the U.S Maritime Drug Enforcement Act. 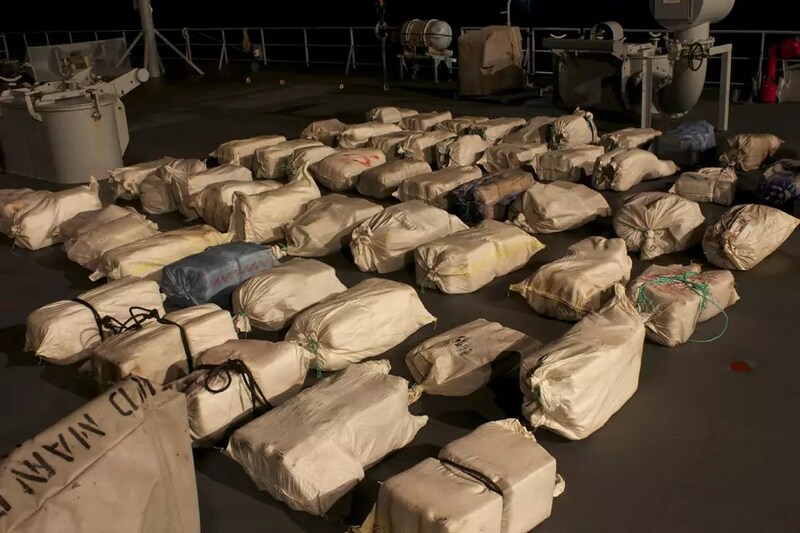 The two men were arrested in September aboard their vessel MISS TIFFANY as it moved across the Caribbean Sea with over 2500 pounds of marijuana as its cargo. The statement added that “when the USGC called over the radio, MISS TIFFANY began evasive maneuvers, while jettisoning white bales overboard. The USCG boarding teams recovered 1,265 kilograms of marijuana from the jettison fields and then boarded MISS TIFFANY. This investigation was conducted by the DEA, Federal Bureau of Investigation, and U.S. Immigration and Customs Enforcement’s Homeland Security Investigations. The two men now face the possibility of life in prison. Sentencing will take place on February 20, 2014.